Belfast MAC, Ireland’s latest arts venue, has had its newly designed production infrastructure equipped and installed by Rea Sound, Martin Audio’s Irish distributors. Appointed as specialist sub-contractors to Bowen Mascott JV after responding to a competitive tender, they masterminded the entire technical fit-out including a Martin Audio W3 theatre PA system, as well as stage-, working- and house-lighting, dimmers and control, intercom, video relay and IR — for both the main auditorium (Downstairs at the Mac) and the smaller studio (Upstairs). 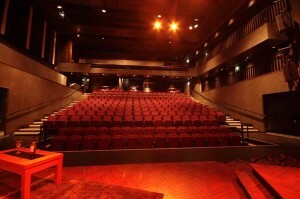 The 350-seat main auditorium on the ground floor is an adaptable, modern theatre space with tiered, retractable, seating, while upstairs on the first floor, the 120 seat studio theatre offers flexibility for both seated and standing audiences and is ideal for press launches and networking events. Working from a design specification by consultant Carr & Angier, who had selected Martin Audio’s W3 arrayable three-way compact trapezoid system as best fit for purpose, Rea Sound integrated leading sound and lighting brands throughout. The scope covers the two performance areas, two rehearsal rooms and the foyer, allowing video and audio to be linked between all areas. The two performance spaces have raked seating, both retractable to allow for flat floor. The main space also has two balcony levels and here the design allows the speaker cabinets to be positioned on vertical grids to provide exceptional sound coverage and clarity. The original design called for four W3’s on each side – however, the client later changed this (to great effect) deploying three W3’s on each side, along with a Martin Audio AQ10. The system is powered by the Martin Audio MA range of amplifiers located in the dedicated amp rack. These provide separate channel feeds to each of the house PA speakers as well as the infills and effects speakers, which include three Martin Audio AQ10’s plus four ‘floating’ Martin Audio Blackline F10+ and two F12+. Custom patch panels allow for the effects speakers to be positioned according to their requirement for the production at hand since the space is designed for multi-functional use and signals need to be routed to speaker locations throughout the venue. At the heart of the system lies one of two Allen & Heath IDR units, allowing for full control on all inputs and outputs of the PA speaker channels. A touch screen controller is located in the main auditorium control room — allowing the user to select either pre-determined presets or their own. Supplied for the audio engineer is an Allen & Heath I-Live T122 digital console and IDR48 stagebox again allow for ease of use and preset recalls. The upstairs PA system also utilises the Martin Audio W3 cabinets flown from the grid horizontally. An Allen & Heath I-Live R72 digital console and IDR16 stagebox again allow for ease of use and preset recalls. 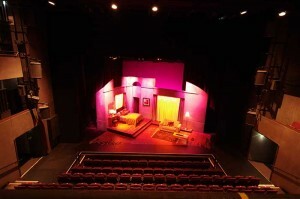 Elsewhere, Rea Sound have provided a range of other services, including a full backstage communications system, allowing for paging from three fixed positions and any of the stage managers desk positions, as well as the show relay mic signals also under IDR control from both venues to all dressing rooms, the IR systems in both venues and voice description systems in both venues. Whilst each venue also has its own intercom system it is possible to link the two systems should the need arise. Lighting includes 140 ways of dimming with 46 ways of switching in the main downstairs theatre, up to 72 ways of dimming in the upstairs, while the discrete video cameras in each venue provide video relay to a variety of areas including foyers, dance and rehearsal rooms. The same patch panels in these areas also allow for audio tie lines, sending audio relayed from either of the show relay mics in each venue. 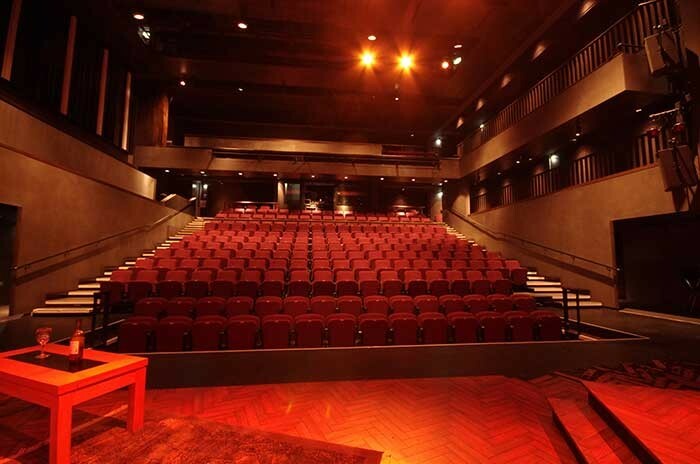 The systems are flexible enough to relay audio and video from any of the performance areas, foyer areas, dance and rehearsal rooms and combine them with a live performance in the main auditorium downstairs.